1. 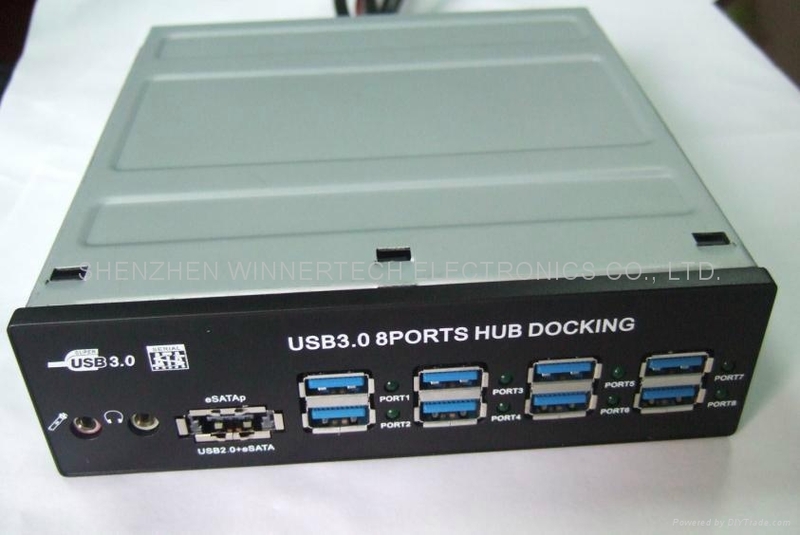 USB3.0 8port HUB, fully compliant to USB3.0 standard, 5GB/s. 2. LED indicator for connection activities of 8ports. 3. eSATAp(USB2.0+Esata) port, HD-AUDIO(MIC input, Earphone output) expansion on bezel. 4. draw extra power from PC motherboard, for stable and secure expansion of HUB, 8ports working for full loads of 8 devices connection.